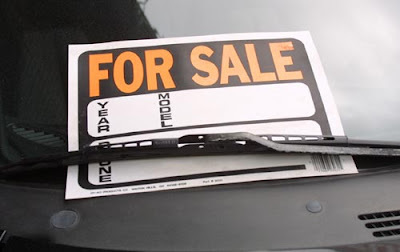 Del Toro Auto Sales Blog: Why Sell Your Vehicle to Del Toro Auto Sales? sell their car in a hassle and stress free environment. Check out our dealership today to see for yourself! Selling your used car to a dealership like Del Toro Auto Sales is a smart choice because selling your car to a private party can be stressful and dangerous. You may have friends who have used a private dealer, and it has worked for them, however, it’s not always the best option. You will have to provide strangers’ your personal contact information, your address and meet them in person to see your car. In addition, there is more stress involved when selling privately including the paperwork of the selling process, your time spent at the DMV, complete a smog test for your car, and negotiate with strangers who will probably haggle about the price. Selling your car to Del Toro Auto Sales ensure it’s safe, easy and in your best interest. Talk to our professional sales team instead of dealing with strangers looking to save money. We are here to help by putting customer satisfaction as our top priority every step of the way. You can cut out the middleman to gain more profit IF your car is in good condition. Stop in to Del Toro Auto Sales to see for yourself. It’s an easy process, and is less stressful than you might think. Click here to get a free vehicle evaluation online.